Sam looks at Meal Snap. 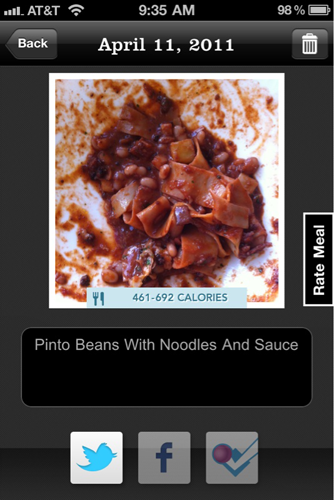 Meal Snap is a new iPhone app that lets you take pictures of your food, and auto -magically get back calorie and caption information. This entry was posted in AppMinute Podcast and tagged in Meal Snap.